For the 15th year running, Camberwell College of Arts will open its doors to members of the local community and beyond on Saturday 22 June 2019 for a free, fun day of art and design workshops, and the chance to explore the work of our graduating students at our Summer Shows. 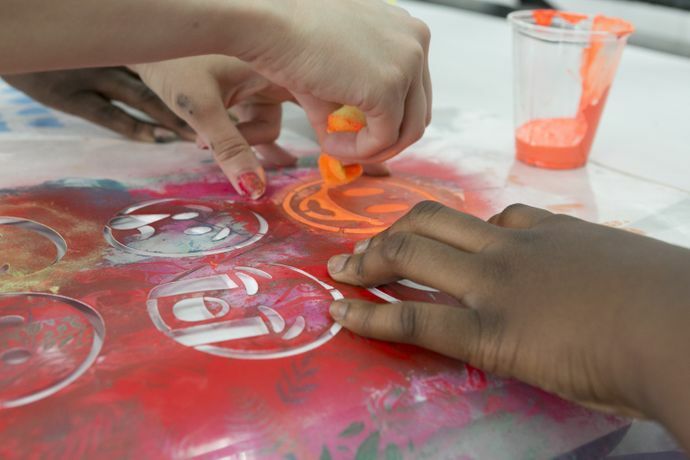 Suitable for all ages, this exciting, inspiring day offers the chance to try out something new: print your own design onto a T-Shirt, make a photogram in the dark room or try making a simple pot out of clay. This year, we are running a series of special workshops inspired by objects from the historic Camberwell ILEA Collection. You can use these examples of mid-century design as a starting point to create your own pieces, and learn more about how everyday objects can inspire your creativity. All of the workshops on the day are run by Camberwell’s talented staff, students and alumni, who will guide you through the process. No previous experience is necessary to take part, and all materials are provided. Open House 2019 is supported by CRAFT (Camberwell Research Academic Fellowship Trust), and UAL Outreach. Children under 16 must be accompanied by a responsible adult.